The Crown British style overdrive was designed to mimic a variety of British School amps. From Plexi® and AC® to rich and fully detailed JCM® overdrive tones. Ideal for boosting an amp to get that desirable crunch at lower volume, or adding a British character to any amplifier. The Crown features jfet technology combining three calibrated stages in cascade mode, which results in very smooth tone with a tube like character, touch sensitivity and natural-musical compression at high gain settings. 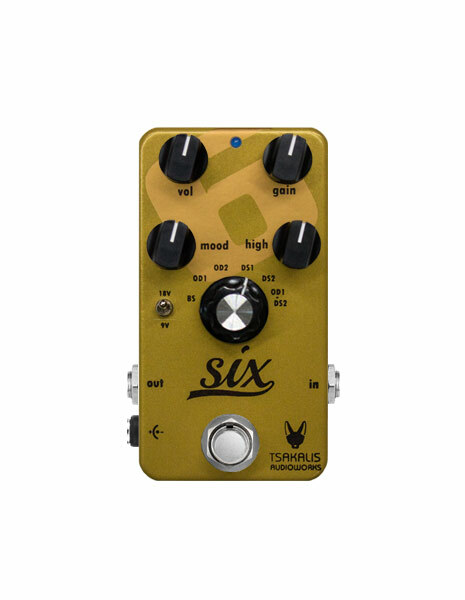 It’s simple yet effective controls along with it’s pedal board friendly size will make your life easier. Use it’s three knobs (Drive, Color, Level) and two toggle switches (Fat, Hot) to experience the pedal’s versatility and perfectly match any guitar or amp. With the Color control you can choose between a wide range of British style amps. Combine it with different Drive settings and find your own sweet spot! Once you’ve done that, add low end using the ‘Fat’ switch or punch and bite using the ‘Hot’ switch. Fuzz & Octave in a box with separate controls.